Several add-ons are included with Uvirith’s Legacy. Most increase compatibility with certain mods. They are designed to enhance content already available in UL and are not required. All add-ons must come after UL in your load list, so they’re redated appropriately. Do not clean these with TESTool. All add-ons have been cleaned using Enchanted Editor and tes3cmd, since TESTool frequently bodged it up. Any add-on TESTool will break has a warning. Read the individual requirements for each add-on before loading it. All add-ons require Uvirith’s Legacy. If a UL version number is specified in the file name, it means it requires that version of UL or higher. If you’re upgrading from earlier versions of Uvirith’s Legacy, make sure you upgrade your add-ons as well, and double-check to make sure they’re all loaded after UL. MWSE Functionality (updated for UL 3.2) – Improves the Alchemy Sorter, Bag of Holding, and Rock Wand. There is a also a separate MWSE add-on for companions. Tamriel Rebuilt (updated for UL 3.2) – Adds teleportation platforms to Telvannis locations, TR ingredients to tower shipments, and more. 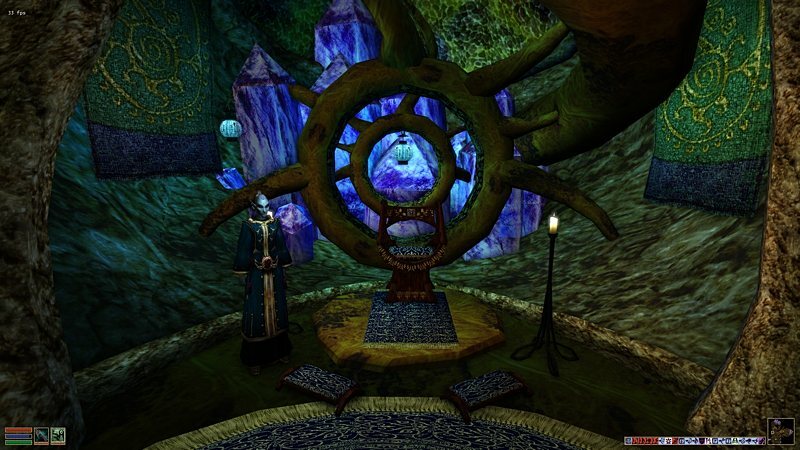 Rise of House Telvanni (updated for UL 3.2) – Adds teleportation to RoHT towers and more. Soralis’ Chess – Adds a working chessboard to the upper tower. Book Jackets – Adds book jackets to the tower library. The Lighting Mod – Fixes potential ambient brightness issues. Children of Morrowind – Turns your apprentice and maid into teens. Weapon Rotate – Adds weapon racks to the tower. Ash-Kosh Armor – Two versions of female armor for Ash-Kosh.